Happy New Year! I hope you got to have a lovely break and that you’re feeling excited about 2017. I'm excited to be back in the studio next week to start Term 1 for the year and I am bursting at the seams to get into it! Why? Well firstly, because I miss my students and secondly, because I did some life changing professional development work over the holidays, learning with one of the world’s most renowned voice teachers - Jeanie LoVetri. After doing a week of intense training, I am now certified to teach Somatic Voicework ™ The LoVetri Method. I will be writing a more detailed blog post about it, but I can tell you now that it is steeped in vocal science and soul. It blew my mind and I am so excited about seeing my students get results with this new approach. For the first time I will be offering a fully paid scholarship to study with me over the term. To apply, all you need to do is tell us in 200 words or less what your Musical, Creativity & Life Goals are for 2017 and why! Please save and share this photo below on Facebook or email this to anyone you know who is interested in lessons. The lessons can be done over Skype/FaceTime so feel free to let people outside of Brisbane know. For impartiality, there will be an independent panel judging the entries. To the celebrate this new term, I will be offering the 1hr lessons term (10 weeks) package for $600, saving $260. There will also have the option to do two part payments of $350 each, which is still saving you $160. This offer will end next Saturday 28th January. With the installment plan option, be sure to click on the link in the description, do not use the shop payment button. Also there will be a $20 Payment Processing fee. The casual rate will stay the same as last year. This is to be paid for prior to the lesson via the online scheduling system. - The Studio will be having two concerts per Semester, with dates and venues coming soon. 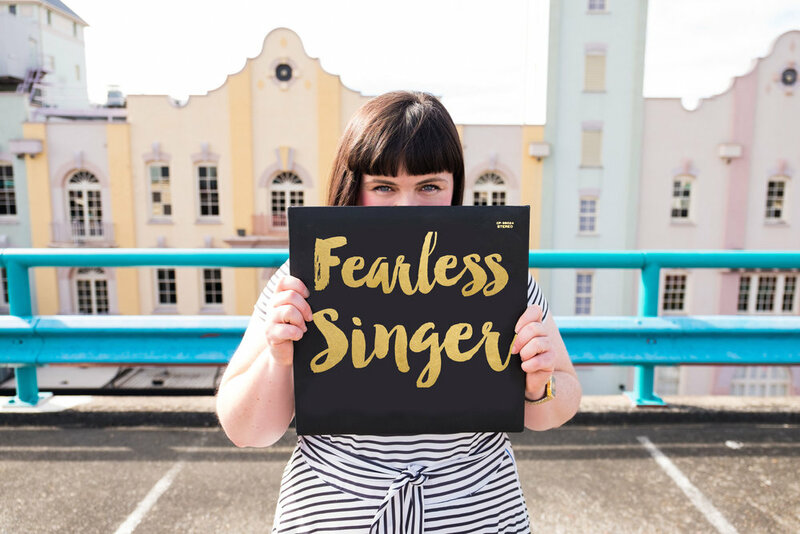 - There will be Fearless Singer workshops being taught by myself as well as other voice and personal development teachers as well as musicians, which you can attend throughout the year. The first one is the Courageous Singing Masterclass on Feburary 18th. More details here. - There will also be a Fearless Singer Choir. There are so many exciting changes this year! It’s going to be super fun but also very busy! Did I also mention that I’m doing further study at Uni this year? Yes, that’s right, I am a glutton for punishment! I’m committed more than ever to helping you get results this year. I can’t tell you how much I want to see you succeed. Whatever your goals are, I want to see you make it happen. I believe that you can achieve greatness (whatever that means to you) and that you have been put on this earth to use your talent for the betterment of others. You have your own unique voice and song to share with the world. You can also use it to create a life you love. Please don’t miss out on the opportunity to save a shizzle load of money with the term pack deal! Remember the deal expires next Saturday 28th January 2017. Also, try your luck with the scholarship!